"Charlotte has great listening skills, a wonderful sense of humor, and boundless energy." "Charlotte was able to key into what we really wanted in a house, and patiently showed us as many houses as we wanted, some multiple times, until we found the home that is absolutely perfect for us. Charlotte has great listening skills, a wonderful sense of humor, and boundless energy." "She definitely went above and beyond what we would have expected." "When looking at houses, Charlotte was extremely accommodating, pleasant and knowledgable. Since we were moving from out of town, she provided a lot of information before we visited, and then happily showed us houses during numerous visits. She met our every need during the house hunting portion of our purchase. Even more amazing was Charlotte's help during the contract portion of our purchase. Since we lived out of town, she handled many aspects of our closing including the inspection and walk thru. When the seller tried to delay settlement, Charlotte did all she could to ensure a timely settlement. She even helped us get some work done on the house before we moved to the area. She definitely went above and beyond what we would have expected. Charlotte definitely provides the highest level of personal and professional real estate service. I highly recommend her when buying or selling a home! "If you are looking for the best buying or selling experience, Charlotte is your go-to real estate agent!" "Charlotte is the consummate real estate professional. We were faced with having to sell our property in a finite period and encountered a few challenges along the way. Because of Charlotte's years of experience we were successfully able to sell our home quickly and without any major incidents. If you are looking for the best buying or selling experience, Charlotte is your go-to real estate agent!" "Her efforts made the sale of our home go as smooth as possible." 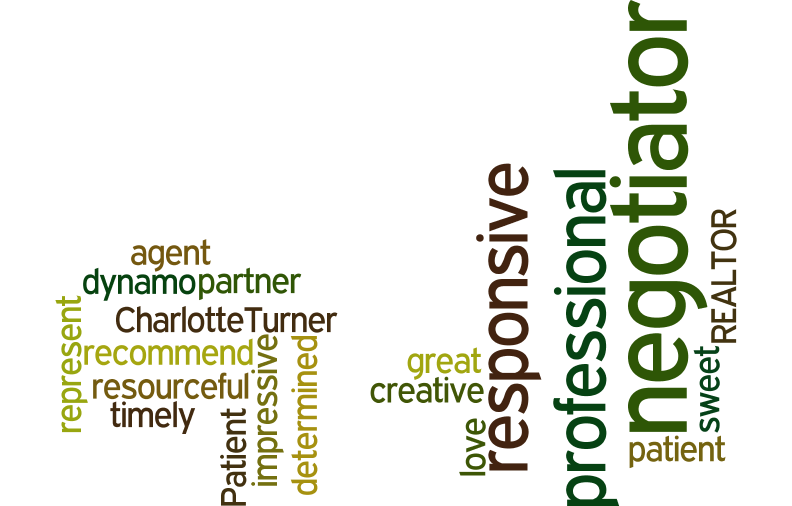 "Charlotte is an extremely knowledgeable and motivated agent. Her efforts made the sale of our home go as smooth as possible. I would highly recommend her services to anyone in the area looking to buy or sell a home. Thanks Charlotte!" "Charlotte did a stellar job listing then selling our home!" "Charlotte did a stellar job listing then selling our home! She is very personable but extremely professional. She was always easy to reach even late at night and weekends. She marketed our home aggressively from start to finish - her pictures of our home were beautiful, she had a 3D tour made and a wonderful video. We were pleased with the quality and quantity of showings. During the process of selling our home we needed to make some repairs and improvements and Charlotte had a rolodex full of reputable resources. We enjoyed working with Charlotte and highly recommend her." "I would recommend her as a superb agent!!" "Charlotte went above and beyond to pull the sale through on my house. She was responsive, steady, and so helpful!! I would recommend her as a superb agent!!" "Charlotte is a pleasure to work with." "We sold our house in Governor's Land quickly because we had so much interest and that was due to the incredible marketing job she did. A beautiful video!" "She understood how inexperienced I am with home ownership and was glad to help. She knows the market and saved me money. I recommend her to anyone!" "I recommend Charlotte if you are looking for a realtor who is very professional, will work hard for you, and will get your house sold!" "Charlotte really knows the market and what needs to be done to get a house sold. Our previous realtor had set the price of our home way higher than it should have been, and it languished on the market. Charlotte came in and used her market data to set the right price, and suggested reasonably priced repairs to make the property more attractive to buyers. Her online ad had video walk-throughs and 3D modeling, features that really allowed buyers to get a sense of the house before even seeing it. I recommend Charlotte if you are looking for a realtor who is very professional, will work hard for you, and will get your house sold!" "She made herself available to us 24/7 and was there through every last detail." "Charlotte helped us find our dream home in Governors Land at Two Rivers. We needed the expertise of someone local who had all the connections especially to the best real estate agency in town (Liz Moore). After making several offers on homes where the sellers and their crazy realtors didn't negotiate, Charlotte found us the perfect home. She made herself available to us 24/7 and was there through every last detail. We highly recommend Charlotte to buyers or sellers of homes in Governors Land or in Williamsburg." "She was very pleasant to work with." "We had our James River waterfront home on the market for one year with another company. We switched to Mrs.Turner......she had a best presentation of our property....She accented the view and we got a contract within a few weeks. She was very pleasant to work with. When she came to our apartment to meet with me and my husband, I told my husband she was our new listing agent.......her reply was that, she was going to sell our home. 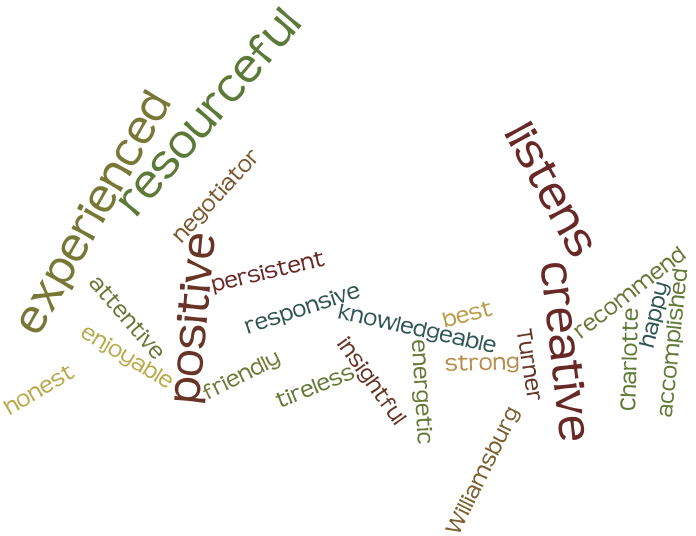 Mrs. Turner has a positive outlook." "She broke down each home we went through and was very honest with us. We were also always up to date and informed through the whole process. I would also suggest taking her advice when other services are needed, she has a great network of professionals who can assist you with anything along the way." "Our experience with Charlotte was fantastic!" "She was laid back but very responsive and was a pleasure to work with. We have also asked Charlotte to help us sell a home, and I'm sure we will continue to be extremely pleased with her excellent level of service." "You can count on Charlotte to return your calls." "Charlotte could not have been more effective. Of particular note, her attention to following up on the feedback from potential buyers was very much appreciated. When you are trying to sell your home, you want to know what people said about it and our previous experience with another realtor proves that this is not always the case. Furthermore, you can count on Charlotte to return your calls when you have questions in a timely manner. We recommend her highly." "Explained everything in understandable language." "Just an all around excellent realtor. Did everything we asked for - was prompt and efficient - returned all of our calls and text messages promptly -worked with the title company and explained everything in understandable language." "She produced results with her enthusiasm, knowledge of the market, and her creativity"
"Charlotte is wonderful to work with and I highly recommend her. We listed our home with her and she produced results with her enthusiasm, knowledge of the market, and her creativity. She guided us thru the closing process with skill, even taking the stress out of the bumps along the way. I would definitely use her again and I can't say enough to thank Charlotte for all her help!!!" "She made the whole process less stressful"
"Charlotte helped us find the condo we were looking for in the perfect community.She was a big help with the details and there are many . Charlotte help us with the closing process . She made the whole process less stressful , a real pleasure to work with and I would recommend her to everyone looking to buy or sell." "It is very apparent that she has worked with other couples in our situation"
"My wife and found Charlotte online after finding out we were to be moving to the Williamsburg area. We reached out to her and received a response almost immediately. 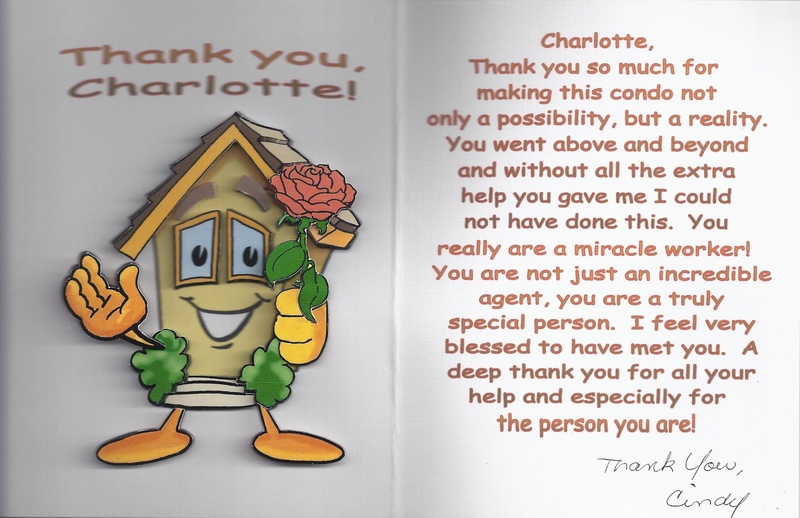 Charlotte listened very carefully to our requirements and had an initial list of homes to us within minutes. Charlotte arranged to show us three homes remotely - it is very apparent that she has worked with other couples in our situation. Despite my being in another country, Charlotte did an outstanding job of covering all the details and answering all of our questions. She has a great network of resources when we needed additional information. Charlotte gave us great service and amazing support. We recommend her highly! " "Charlotte communicates a genuine care and concern for us"
The words efficient, professional, tireless, and creative describe my experience with Charlotte. Her marketing is the best in out area. She was quick to answer any communication sent and helped, with a few adjustments, to stage my home. For me, the review must include the best characteristic of all, Charlotte communicates a genuine care and concern for us, the clients. Thank you Charlotte. "I know many other Williamsburg realtors but she is the very best!" Charlotte is fabulous to work with and I would never use anyone else...and I know many other Williamsburg realtors but she is the very best! She is a real professional, is delightfully personable, and responds immediately to you needs and requests. "I couldn't recommend her more." "Charlotte is incredibly knowledgeable and helpful. We were new to the area and so happy to have her help! She even found us an adorable cottage to stay in while we waited for our house to close. I couldn't recommend her more." "Charlotte assisted us in making the deal happen and walked us through the entire process seamlessly and easily." "We contacted Charlotte in 2014 and let her know that we'd likely be moving to Williamsburg within the next "few years". Despite the fact that we were a long-term prospect, she regularly sent us listings of homes that met our criteria and frequently checked in with us to see how things were going with our plans. In mid-2015, we made plans to spend a few days in town and Charlotte was willing to spend as much time with us as we needed to show us around town and tour various neighborhoods. As much as we had no intention of making a purchase, we found a piece of property that was the "one". Charlotte assisted us in making the deal happen and walked us through the entire process seamlessly and easily. I'd highly recommend her to anyone looking in the area." "Charlotte was great at making the process painless!" "We were relocating from out of state and Charlotte was great at making the process painless! She was friendly, available and was patient with coordinating most of the transactions through email. I would highly recommend her!" "Charlotte would be patient, accommodating as well as offering info, tips and advice concerning the area." "We had been searching for a home for many months. Somehow, we got lucky and Charlotte showed us a home. From that day, when we checked the internet, we had an almost daily visit with Charlotte. Anytime that we requested another venue to see Charlotte would be patient, accommodating as well as offering info, tips and advice concerning the area. Just as many people who come here to reside, we knew no one. Our family was discussing this concept recently and we all agreed that we miss her ---however we are really not ready to buy another home yet." "She created a buzz with my home and did a great job marketing." "She sold my home in record time! 5 star all around. She created a buzz with my home and did a great job marketing. We had lots of viewings and multiple offers." "I can't thank you enough for the time and stress you save me"
"Thanks so much Charlotte! I'm still on cloud 9. I think my head is still spinning from you getting so much done in a short amount of time. I can't thank you enough for the time and stress you save me. Please say hi to your team of associates that worked so hard for me but yet looked like they did it with ease. Best Wishes to you all and stay in touch--I will have to step in and see all of ya at Liz-Moore, you all are the best their is! "We highly recommend her services for selling a home." "Charlotte became our realtor after we had issues with another realtor. We found her professional, honest and willing to tell us what changes needed to be made with our home to give it the best potential for sale. Within a month of listing with Charlotte we had a contract. We were very impressed with how quickly the sale occurred. We highly recommend her services for selling a home." "She is extremely attentive and responsive"
"We really enjoyed working with Charlotte. We were new to the area and she was a wealth of information and was always happy to answer questions. She is extremely attentive and responsive - we knew we were in good hands with our home purchase!" "She stayed with us until finished!" "Charlotte was very good at always returning calls quickly. She spent lots of time with us to find a house. When we couldn't find one she helped us through the process of a new home. She stayed with us until finished!" "She provided guidance, support and objective input..."
"Ms Turner did great at handling me (a demanding) as a client. When I needed something, she responded with the same temperament and professionalism. She provided guidance, support and objective input that helped my wife and I traverse buying a property that we are thoroughly happy with! I do encourage buyers to use Ms Turner as their home buying agent." "She was always available no matter what time of day"
"Charlotte is an amazing person and outstanding realtor; we met here at a house showing and were captured by her honesty and enthusiasm in finding the perfect fit for us. She was always available no matter what time of day and did not hesitate to go out of her way for us. She was able to connect us with the right people to make owning a home a reality for us ,we will never forget her and the huge part she played in making our dream come true, the only thing I miss after our house closing is talking to her every day." "Charlotte always made time for us." "Charlotte is first class realator all the way! Charlotte is a very knowledgeable, kind and a patient person. My husband and I worked with Charlotte for a year and a half. We live in New York and each time we came to Williamsburg, Charlotte always made time for us. If you want a caring person who knows the area you must ask for Charlotte Turner at Liz Moore Real Estate! Thank you Charlotte!" "Charlotte was supremely helpful in guiding us through the home-buying process..."
"Charlotte did a wonderful job showing us homes in Williamsburg. She gave us a great feel for the area and, after only a short time with us, quickly honed in on what types of homes we would be most interested in. What's more, she's a lot of fun to spend time with, easy to talk to, and very knowledgable about the area (schools, shopping, etc etc). Once we chose a home, Charlotte was supremely helpful in guiding us through the home-buying process, something we very much appreciated as first time home buyers. We were residing in NY prior to our move to VA and Charlotte on several occasions went out of her way to go back to the home (new construction) for us, take photos and measurements of all the rooms and send them to us, and generally to answer any and all questions we had as the process went along. I recommend her highly for anyone looking for a house in the Williamsburg area." 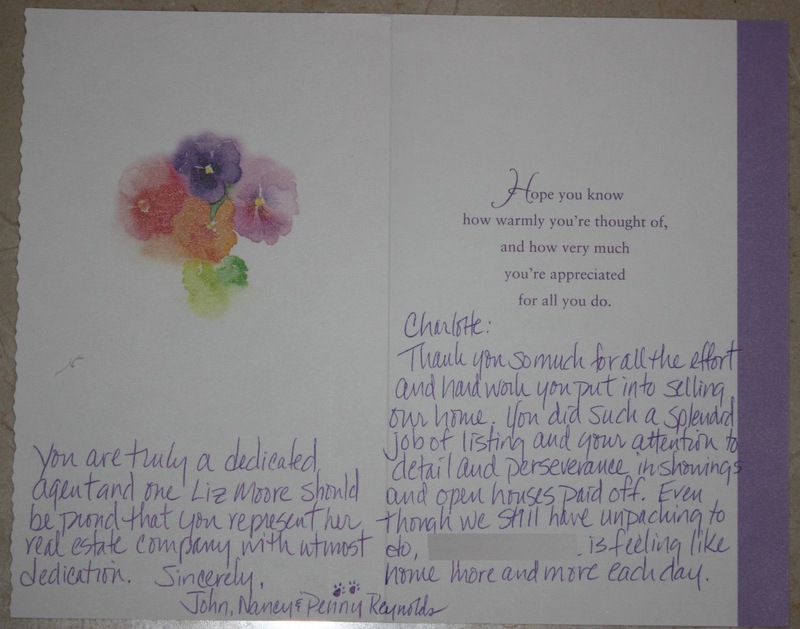 "Charlotte provided professionalism that I have never witnessed in the selling of a home!" "I have had the opportunity to work with agents in the past, having transactions in South Dakota, Minnesota, and Virginia, both with our primary residence and rental property! Based on this experience I am qualified to say Charlotte Turner provided my family with a organized relaxed atmosphere that I have never experienced. From day one to five days later when we had a contract Charlotte provided professionalism that I have never witnessed in the selling of a home!" "Charlotte is a professional to the core." "Not only that but she makes clients feel as if they have known her forever. She has an incredible in-depth knowledge of the Williamsburg area and is happy to share that information and help her clients make the best decisions. We are happy to have met her and can recommend her without any qualifications to any and all seeking housing in the Williamsburg area." "We will definitely be recommending Charlotte to those we know..."
"Charlotte got us the neighborhood we wanted, the house we wanted, the price we wanted! We bought our house while living far from the area and the process was pleasant not painful. We will definitely be recommending Charlotte to those we know who are moving to the area." "We felt comfortable using her to buy sight unseen..."
Charlotte was wonderful in working with us to find and purchase a home across the country from where we lived and helped negotiate with the seller to get the best deal for our needs. We felt comfortable using her to buy sight unseen and are happy with our new home. "Charlotte was incredible from start to finish." "She gave me advice on staging my home, the listed asking price and closing details. In between her expertise solved questions/problems that I had no idea how to even begin doing. Plus, she was kind and always upbeat---a true treasure." "She did manage to make the process very smooth and stress-free"
"A winner, a good negotiator and in touch with you during the process." I had my house listed for 6 months with a company that didn't market my home very well. A neighbor of mine recommended Charlotte to assist in selling my home. On meeting Charlotte I found her to be energetic and very knowlagable. Her strategy was the more exposure of my house the better chance to sell. She listed on every mag, newspaper and all social media such as facebook,twitter to include a great drone shot of the house and surrounding property...I would recommend Charlotte for any real estate selling or buying. A winner, a good negotiator and in touch with you during the process....Thanks Charlotte for selling my home!! "Charlotte really listens and is a very caring person." "I'd never met Charlotte before I chose her from the Internet to show me a house. From the very first time we met, she made me feel comfortable enough to think of her as a friend. She was very knowledge about the properties she showed me - even though they weren't her listings. Charlotte is patient with my constant questions and it was immediately apparent she was looking out for me. Charlotte really listens and is a very caring person. When I found the house I wanted to buy, she helped me determine what I should offer and gave me solid reasons to support it. When there were other offers on the house, Charlotte helped me to "negotiate" to keep my offer in the running and when it got close, she fought HARD to get me the house - and I did get it for the price I wanted. At the same time, Charlotte also listed the home I needed to sell. She had pictures taken of the interior and exterior and posted it online. She held open houses, and posted my home on Facebook too. Because of her hard work, I've no doubt that's why my condo sold as quickly as it did. I can text or call Charlotte and reach her immediately. If I need to send her an e-mail, I don't have to wait very long until I get a reply. Charlotte has kept me informed throughout the entire process of buying my new home and selling my current home, helping me to understand all the complex documents that required my signature. Beyond the paperwork, because of her caring spirit, she helped tremendously to ease any concerns I had. I couldn't ask for a better buyer's agent. I give Charlotte my highest recommendation." "Charlotte was very professional and pleasant to work with through the whole process"
"Charlotte helped us to buy our second home in Williamsburg, VA in late December 2014. The whole process was not very smooth since we were buying foreclosed property. Our closing lasted for about three month, but Charlotte was very professional and pleasant to work with through the whole process. We normally using our agent in Richmond, VA for all housing hunting needs, and that was the first time in ten years we used another agent. We would highly recommend Charlotte to anybody who is in the market for theit next house." "Her negotiation skills are amazing"
"Having recently relocated due to a job and then receiving an offer on our home very quickly, we were in need of a knowledgeable, 'hungry' RE professional, and we found that in Charlotte! She was so helpful in introducing us to various neighborhoods, and her negotiation skills are amazing. Early on, when I was somewhat frazzled and frantic, Charlotte told me, 'I will FIND you a home.' And she did. Highly recommended!" "We considered several real estate agents before finding and choosing Charlotte to help us with buying a home in Williamsburg. She proved to be the best of the best. She definitely knows the real estate business, and she thoroughly knows the Williamsburg area. She helped us navigate through what can sometimes be a challenging process. She has unparalleled enthusiasm. She is also a huge fan of the Williamsburg area. She’s near peerless in her profession." "Hardworking, responsive, and she gets the job done"
"In buying our home, one of our best decisions was to have Charlotte guide us through the buying process. She was professional and personable, and she was very knowledgeable of the Williamsburg area. We couldn’t have done it without her, and we’re so happy we had her by our side: hardworking, responsive, and she gets the job done." "She was very knowledgeable and patient." "Charlotte was great throughout the entire buying process. She was very knowledgeable and patient, always taking the time we needed to ensure we had all of the information we needed to make an informed decision. "We received the first contact from Charlotte literally minutes after contacting her online." "My wife and I contacted Charlotte when we decided to relocate to Williamsburg, VA from Cape Coral, FL. We received the first contact from Charlotte literally minutes after contacting her online. Charlotte arranged for us to see an impressive number of homes over the course of a couple of days based on our preferences in home styles and time sensitive situation. We moved into our home a month and a half ago and we would not have been able to accomplish this without the Charlotte's local knowledge and responsiveness. " "I had worked with other realtors in the past, needless to say they were not as involved as Charlotte"
"Charlotte helped my family and i make a tedious transition from Illinois back to Virginia almost care free. Constant updates with mutual understanding of the situation on the table with me not being local to the area where I wanted to purchase a home. The closing went quick and painless helping my family be able to live in a new home. I had worked with other realtors in the past, needless to say they were not as involved as Charlotte I highly recommend her!" "Charlotte is not only fun to work with, she will give you prompt attention, keep you well informed, and go above and beyond to meet your real estate needs." "If you're looking for real estate in the Williamsburg area, you're missing the boat if you don't contact Charlotte Turner with Liz Moore Realty. Charlotte is not only fun to work with, she will give you prompt attention, keep you well informed, and go above and beyond to meet your real estate needs. Having worked with several real estate agents in the area, we can assure you Charlotte Turner is at the top of our list." "She consistently made us feel that we were first on her list of priorities." "I cannot begin to say enough wonderful things about Charlotte Turner. She made the home search and home buying process so easy and enjoyable. She consistently made us feel that we were first on her list of priorities. If you want someone extremely knowledgeable about the real estate business/home buying process, someone who responds to calls, texts, and emails almost instantaneously, and someone friendly who makes you feel comfortable, go with Charlotte. She made our dreams come true." "She was responsive to our inquiries"
"One word describes our experience with Charlotte: PERFECT! She was responsive to our inquiries and patient with our viewing of 31 homes. One Sunday she spent a full 5.5 hours with us! She always seemed sincere in her desire for us to find the right home. Looking back on the entire, intimidating process of buying a house, we couldn't imagine going through it without her. In our book, Charlotte wins the "realtor-of-the-year" award!" "She always returned calls and efficient in finding answers"
"Charlotte was very helpful in finding the right property for my family. She always returned calls and efficient in finding answers to all our questions and she even made recommendation for painters, inspectors, etc." "She kept looking for the hard to find house and succeeded in finding several even before listed. Knows her stuff. Lots of helpful local insight and thoroughly competent"
"Her five star rating is certainly deserved!" "Charlotte Turner from Liz Moore Realty was a great asset to our recent house purchase. We picked Charlotte randomly from the Zillow list of Realtors after having a less than satisfactory experience with another Realty company. Charlotte agreed to show us the property on the day we called and assisted us in preparation of our bid on that same weekend. She was through and responsive to our needs from our initial meeting through closing. Her five star rating is certainly deserved!" 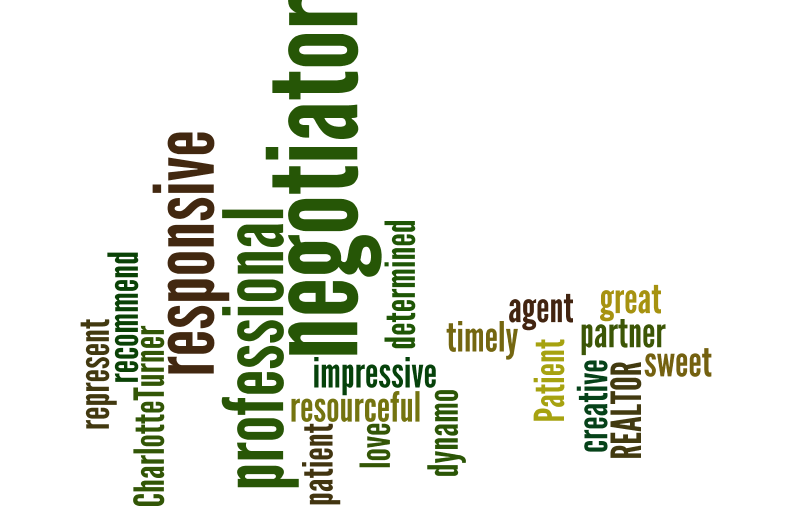 "I recommend her not only because of her great negotiating skill, but also for her personality." "Charlotte is a very professional and experienced agent. She DID get a very nice deal for me on my purchasing ! I recommend her not only because of her great negotiating skill, but also for her personality. It is very happy working with her. She has huge local knowledge and knows everything about the pros and cons of the house. She has wonderful process expertise and also very responsible. She replied my emails in time, answering my messy questions very patiently. ( I am a first time house buyer, so, lots of questions:-). ) After closing, she also helped me find the right persons for the maintainance of the house and landscape, etc. The last but also the most important thing I want to mention is: I have learned a lot from her!" "Went 'the extra mile(s)' to help us find the perfect property." "Our realtor, Charlotte Turner, went 'the extra mile(s)' to help us find the perfect property. Even after our first contract fell through due to a financing glitch ... she stayed the course with us. When the perfect property came up for sale, 6 long months later; she got us right in to see it and helped us negotiate a super buy. Every aspect of our sale, including property inspection, contractors and financing were Charlotte's referrals; and every one of them were as down to earth, professional and efficient as Charlotte, herself. We highly commend her to anyone seeking to buy or sell in VA."
"She brought the right buyers to our home and it is SOLD!" "We highly recommend Charlotte as a realtor in the Williamsburg, VA area. She knows the territory and was very friendly and responsive to our needs as we tried to sell our home in a buyer's market and in a community that has lots of inventory. She brought the right buyers to our home and it is SOLD!" "I had the best experience with her and finally I got my dream home." "I've tried to buy a home in the past and never had any luck until I worked with Charlotte. She is very aggressive, professional and will work hard for you to get you what you want. She will be the only realtor I use in the future. If you want someone who will work for you, give her a call. I had the best experience with her and finally I got my dream home." "She was always professional, happy to answer questions"
"Charlotte Turner was a buyer's agent who brought her client to look at our FSBO. We immediately connected as it was so easy to talk to her and we had several things in common. Her client was her first priority and it was apparent she knew what would work best for their situation. As owners, we never felt as though she abandoned us in supporting the sale of our house either. Somehow she found the perfect balance. She was always professional, happy to answer questions I had regarding the process of selling a house and she went above and beyond the call of duty with the walk-through and in helping us to receive items left behind by our movers. Charlotte's experience, grace, and attention to detail makes her one of the best agents we've ever had the pleasure of working with. You won't go wrong calling her to sell your home or buy your next home." "Charlotte is very responsive and professional"
"Charlotte did a great job listing our home and getting the word out. She was available for showings and open house days. She cooks a great chicken and dumpling available for people during open house day. Charlotte is very responsive and professional. Charlotte will take the best pictures of your home, and in today's market that's what brought the people to see our home. We needed to sell our home during the winter months and also find someone willing to rent back to us though the end of the school year and Charlotte found us that buyer. We closed and are now renting back just like we asked, way to go Charlotte!! We highly recommend Charlotte as a real estate agent." "She ALWAYS responded to me in a timely manner." "Charlotte was recommended to us by a colleague and she was everything they said she was. Charlotte was very easy and professional to work with. She was very knowledgeable and was always looking for new ways to attract buyers for our house. The one thing that I really was impressed with was she ALWAYS responded to me in a timely manner and if she said she was going to do something I could count on her to do it !!!! I really appreciated that ! I would highly recommend Charlotte to anyone needing a realtor. I really do not think they would be disappointed." "She stays on top of everything and makes closing a breeze"
"We had a home that was rented to someone we were building for and when their home was ready and they moved out, Charlotte remembered the home and had clients that wanted a rancher and brought them to us. Charlotte is wonderful to work with. She stays on top of everything and makes closing a breeze. I would highly recommend her." "We could not be happier with the service and result. To all those seeking top notch skills and experience in a real estate agent, you simply cannot do better than engaging Charlotte Turner. She represented us on the buyer's side of the transaction, and we could not be happier with the service and the result. On a scale of 1-10, Charlotte is a 10." "Charlotte Turner is a true real estate professional"
"Charlotte went the extra mile to sell my house. She created a detailed marketing plan that found my buyer in 22 days. The pictures her profession photographer took of the were excellent. Charlotte was very through following up on each showing and sharing that information with me. I have bought and sold many properties and Charlotte Turner is a true real estate professional." "She went above and beyond to listen to our wants and needs..."
"As out of town buyers we found Charlotte Turner to be a great help. She went above and beyond to listen to our wants and needs for finding the perfect home for us. She explained the layout of the area and provided helpful hints and even a map. After we decided on a home we liked she helped with the negotiations, set up a home inspection, kept us informed on the updates and the repairs we wanted. We would recommend Charlotte as your realtor." "Charlotte Turner is a very efficient, careful of his work and very professional. All the problems that arose during the time of the sale, for example with the contractor, it was handled with confidence by achieving an agreement between the work and its completion in time for the final day of the sale. Also repair requirements requested by the buyer were carefully analyzed by her achieving a fair settlement. I definitely recommend it to Carlotte Turner as a person, professional, active, and very efficient in their work." "I was so impressed with how quickly she got back to us." "It was an absolute joy working with Charlotte. She was really knowledgeable about the area and helped us negotiate a great price for our home. She was patient and responsive with all of our questions. I was so impressed with how quickly she got back to us and how available she was to show us homes with very short notice. I would recommend Charlotte Turner to anyone looking for a home!" We had a great experience with Charlotte Turner as our real estate agent when we were selling our home in Williamsburg. She was very professional, extremely nice, a hard worker, gets the job done fast and her suggestions were right on. We value her judgements and advice. We highly recommend her! Thanks, Charlotte!" "I would recommend Charlotte to everyone, every time." "Charlotte was untiring, good-humored and knowledgable. She has excellent contacts and goes the extra mile. Her advice was valuable and on target. I'd recommend Charlotte to everyone, every time." "She was willing to devote valuable time to me despite the fact that I had some home purchasing challenges." personal and business goals. Thank you, Charlotte!" "Charlotte had infinite patience in working with us." "Charlotte is not only an exemplary realtor, but a great person and we owe her a huge debt of gratitude." "My husband and I recently moved to Georgia from Virginia, but wanted to purchase a condo in Williamsburg as a second home to keep some roots near family. After reading many positive reviews, we chose Charlotte Turner as our agent and from day one were extremely grateful that we did. After Charlotte helped us locate the perfect property, we had to move to Georgia and continue the rest of the purchase process long distance. I do not think this would have been possible without Charlotte's tireless efforts, hard work, dedication and support. Being so far away, we had to rely on Charlotte to virtually do all of the work she did so cheerfully, patiently and efficiently. Charlotte is very knowledgeable about every aspect of the process and is well connected with a network of reliable real estate lawyers and home inspectors. 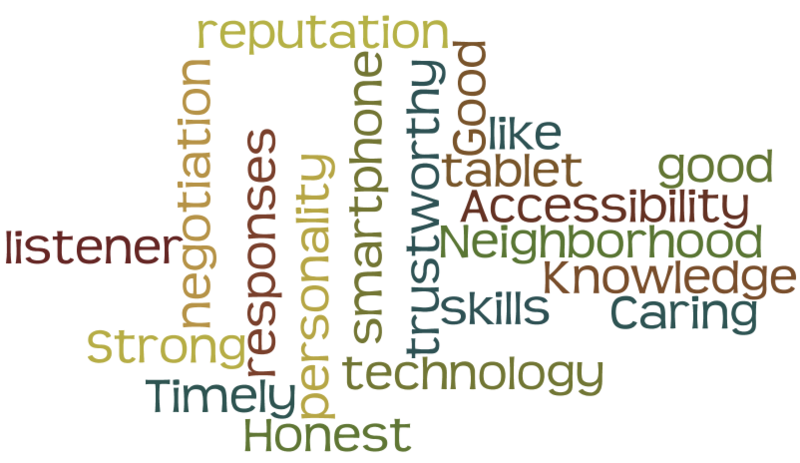 Other realtors would do well to emulate her professionalism, responsiveness and great attitude. Charlotte is not only an exemplary realtor, but a great person and we owe her a huge debt of gratitude. I would HIGHLY RECOMMEND Charlotte to anyone moving to the area." "Charlotte was outstanding in every aspect." "She made sure we got what we wanted; the process was so painless that we couldn't believe we were buying a house in such a short period of time." "You went above and beyond and without all the extra help you gave me I could not have done this." "Your attention to detail and perseverance in showings and open houses paid off." "Streamlined the closing with excellent finance and title recommendations." "Sold property in less than 2 weeks!" "It's been an amazing experience!" "Charlotte is an exceptional real estate agent"
"We cannot begin to express our deep appreciation and gratitude for everything Charlotte did for us. She was very professional, knowledgeable and insightful. We lived in NY when we decided to buy a house that was just in the beginning stages of being built and we were only able to visit the site occasionally. She spent countless hours at the site and with us. She sent pictures and updates periodically. She was always available for questions and always responded quickly to our calls. Her knowledge of the area and her candor were greatly appreciated. 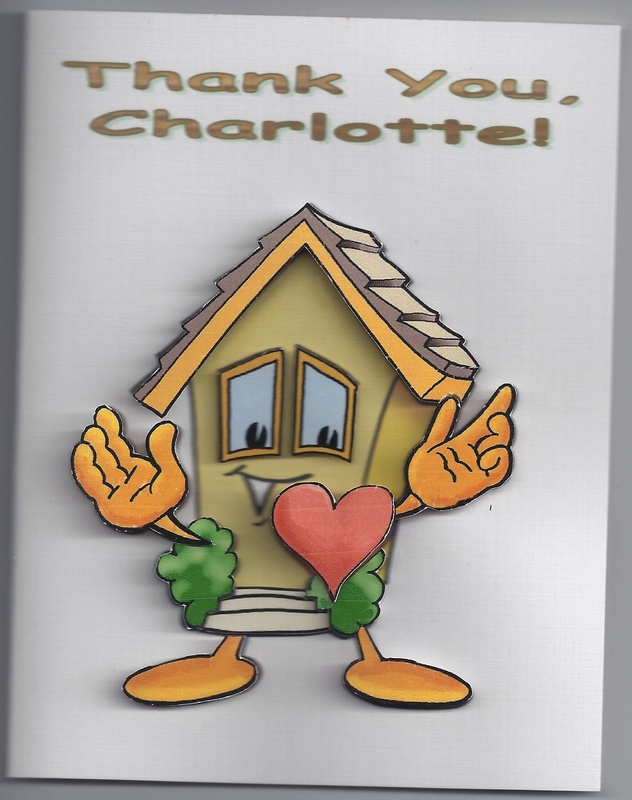 We cannot thank Charlotte enough for all the work she put into the process, the guidance and many little extras she provided in our becoming homeowners in Williamsburg, VA."
"Charlotte was FANTASTIC! I really enjoyed working with her." "Without her I never would have found the perfect house I have now." "Charlotte just completed a short sale on my house"
"She was so thorough and diligent in providing all the documents the bank needed an following up with all the legalities. Her commitment to the details was invaluable in this crazy process." "Charlotte is a consummate professional, an awesome person and fun to be around in every aspect"
"I flew in from Fort Leavenworth, KS with my 12 yr old son for a four day house hunting adventure to look at a list of 36 homes to rent in the Williamsburg area. After dealing with about seven different real estate agents I finally landed a true miracle, Charlotte Turner. On a referral from a friend I called Charlotte and she took the entire Saturday to show us seven homes and we were able to find the exact home we had been looking for. She is truly a "GA Peach" and proved to be invaluable in our decision on where to live in Williamsburg, VA. Thanks so much Charlotte! You are the best!" "Charlotte was very professional and helpful"
"She knows Williamsburg and also made some great recommendations after closing to help me furnish and decorate my home." "Charlotte was a gem. She was always responsive. We could reach her any time day or night." "I would definitely recommend Charlotte to my friends!" "I really feel like she worked hard to bring interested people to view our home. She advertised, advertised, advertised...in the paper and online, not to mention the word of mouth with other agents. Charlotte was always there if we had questions and was more than happy to roll her sleeves up and help stage the house herself. We used Charlotte Turner as our buying agent, and she really bent over backwards to help us find the right home for our family. Her experience and connection helped so much when I had questions. I would definitely use Charlotte again!" "She is professional and dilligent, goes beyond the scope of the job. She is a pleasure to work with and listens to what a client has to say. Would we chose her again as an agent, absolutely without question. She's the best." "Held my hand: attentive to needs, cordial, kept me informed of progress." Charlotte provided spectacular customer service. She kept us informed every step of the way. She is the ultimate professional in her field.I live out of state so it was difficult to coordinate the various activities that needed to be done. Charlotte was especially helpful in lining up carpet cleaners, house cleaning services and repairmen to do the to do the necessary work. "She stayed in touch all along the way"
"Our home purchase in Wmsbg was a little out of the ordinary. We found Mary's ideal home on the internet, and knew that we had to lock it up as ours even tho we would not be moving to the area for almost a year. Also, the contract and closing was all done remotely. These and other issues presented unusual circumstances that Charlotte took in stride for our benefit. We first contacted Charlotte a number of years ago to tell her of our intention to move to Wmsbg at some unk point in the future. She stayed in touch all along the way and continuously provided updates on available listings. That not only kept us appraised of what was available and market conditions, but kept her available to us, and resulted in several phone conversations that also assisted greatly in our decision to move to Mary's favorite VA city."